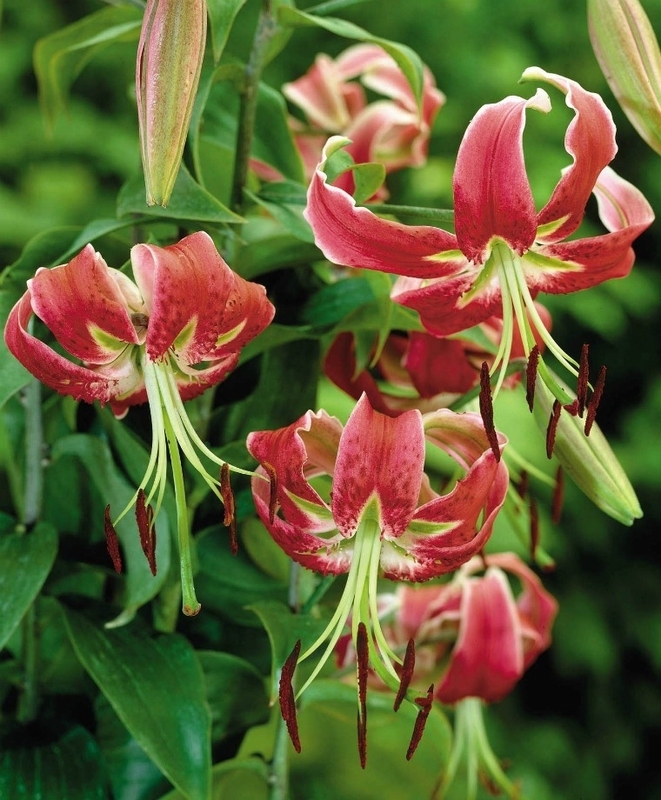 A lightly fragrant, floriferous award-winner circa 1957, Black Beauty has 3", crimson-red to raspberry Turk's Cap-like, pendant flowers with crisp white margins, green starburst centers and elegant, long, pale green stamens. 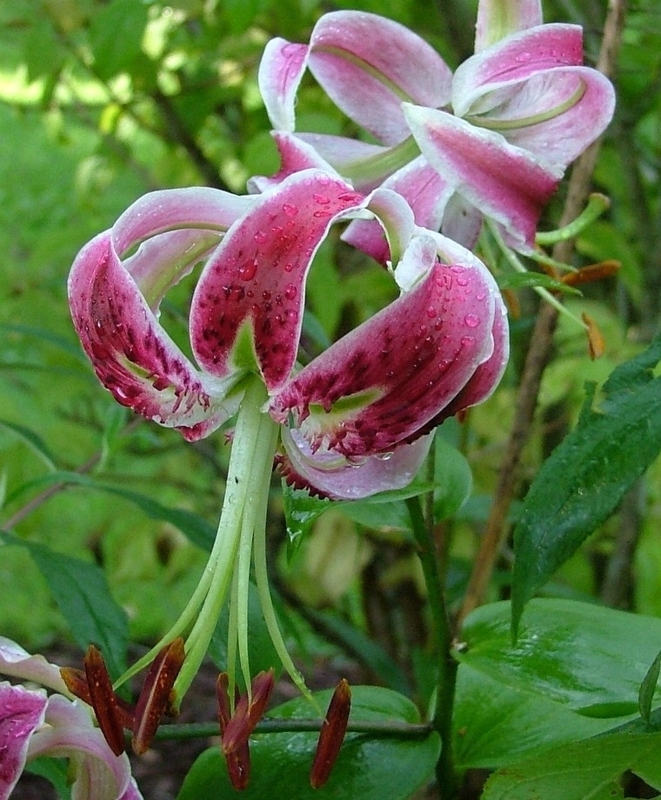 It was hybridized by crossing L. henryi and L. speciosum. A floriferous garden variety once mature, butterfly-beloved Black Beauty is best planted in the fall. It requires well-draining, slightly alkaline, humus-rich soil, and full to partial sun and even moisture through the year. 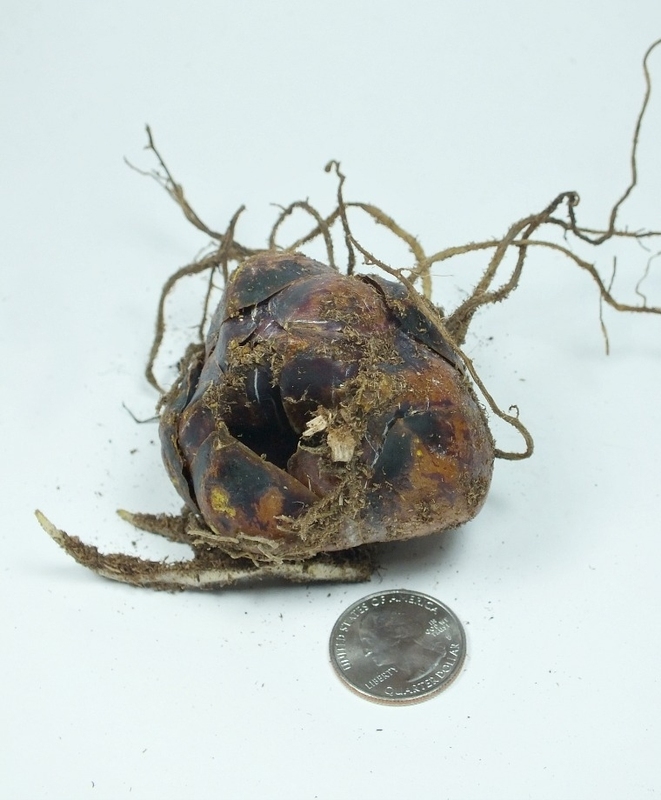 It dislikes any sort of root disturbance once planted and prefers to have its flowers and foliage in the sun, and its lower stalk in the shade. 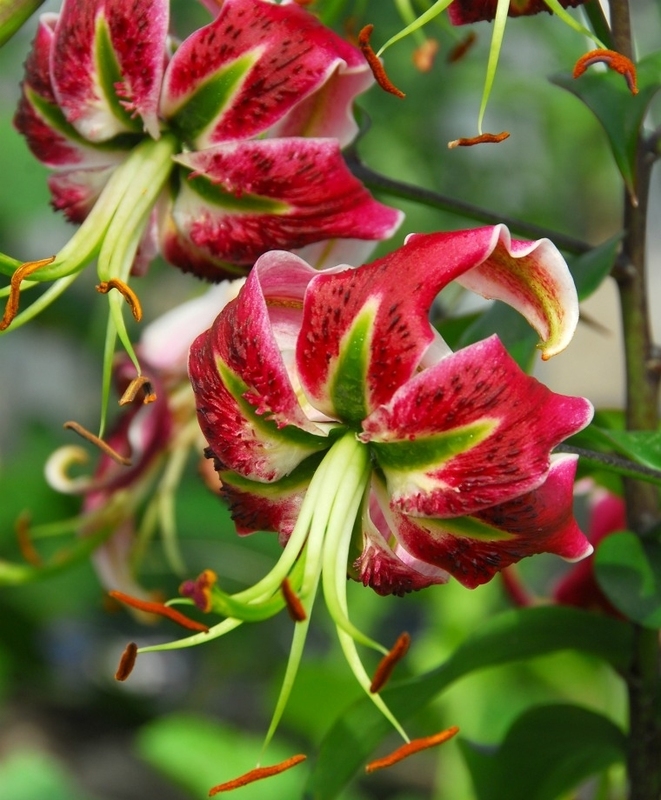 Lily Class: Oriental (and Heirloom Species). Bulb size: 16/18 cm. July/August.HZ: 3-8. 5' to 7'. Lilies are The Art & Soul of Summer.